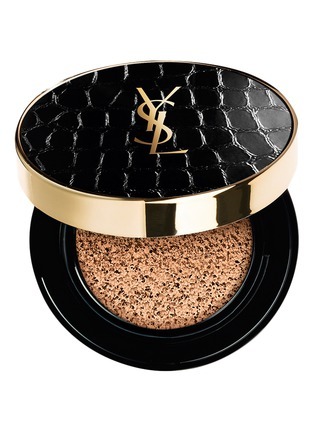 Yves Saint Laurent's Le Cushion Encre De Peau Foundation will become a firm fixture in your beauty regime for its compact on-the-go usage. Flawlessly professional, this one creates the ultimate finishing look with a porcelain complexion. Translating its popular Fusion Ink edition into sponge-soaked form, this cushion compact provides broad spectrum sun protection and a barely-there feel. This one is housed in a limited edition croc-embossed leather case that doubles as an accessory in your clutch.